Costa Rica is famous for its unspoiled nature and cloud forests. It is a veritable paradise for nature lovers. Over the years, almost all of the pictures I had seen of Costa Rica often featured its famed nature and beaches; including its highly-spoken of outdoor/adventure activities such as ziplining and hiking. However, I decided to things a bit different. Rather than heading off to a resort or a place outside of the city, I spent my entire time in Costa Rica based in San José and booked day trips via Viator. This tends to be a typical modus operandi for me since I don't particularly like moving from one hotel to another if I don't have to. When I shared my plans, almost everyone I talked to who had been to Costa Rica shuddered at the thought that I would be based in San José. To many of them, they found San José to be a large, crowded, and noisy city that is good for maybe a stopover and not much else. Most visitors to Costa Rica tend to spend a day in San José before heading off to a resort located in the tropical forests. Yet, I found San José to be a lively and engaging city with numerous things to do. Since my time in Costa Rica was rather limited, I had a choice to make. Costa Rica is home to many famous national parks. My two main choices were to visit Manuel Antonio National Park or Tortuguero National Park. 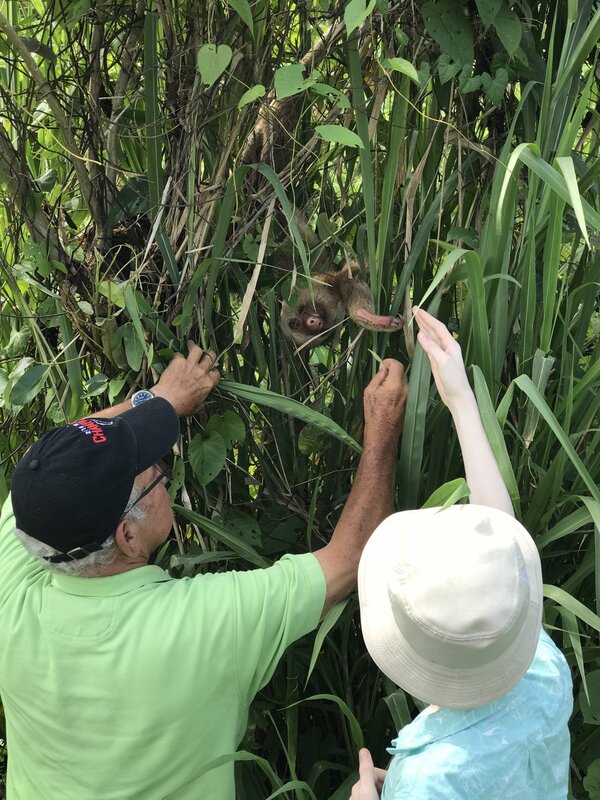 Ultimately, I made the decision to visit Tortuguero National Park since the tour program tended to appeal to me a bit more. Plus, I figured I had nothing to lose since I knew either of the choices would be excellent. 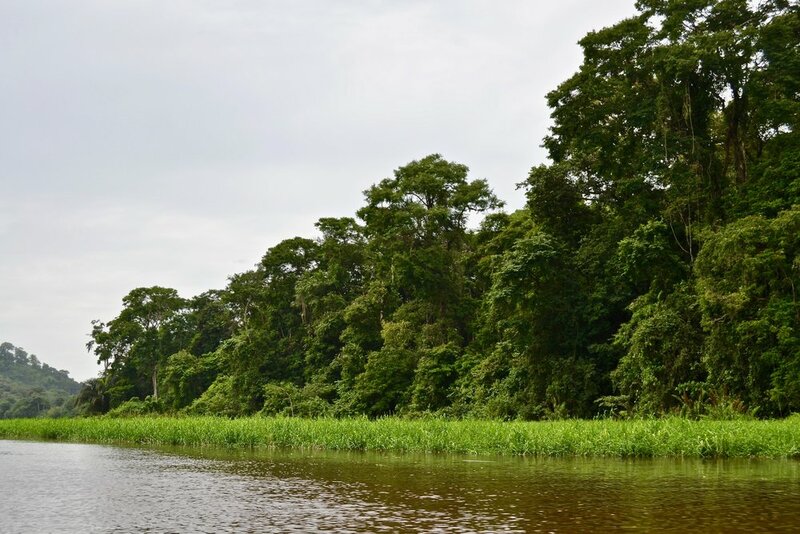 In addition, I had previously heard of Tortuguero strangely enough from a textbook that I occasionally use when I teach, and that piqued my interest in visiting. Tortuguero National Park, which is in northeastern Costa Rica, is a large national park that is the third most-visited national park in Costa Rica. The park is not close to San José, and it actually takes a boat or plane to reach the area since it is rather remote. Rather than figure this out on my own, I opted to take a day tour even though many people who visit often spend a period of several days there. The tour started out with an early pick up from my hotel in San José with a very friendly and gregarious guide. I was not the only one on the tour. I was joined with an American family with two kids, a couple of ladies from Spain and Colombia, and a middle-aged couple from Spain. After driving for a couple of hours, we all stopped for a breakfast of eggs, toast, and Costa Rican coffee. 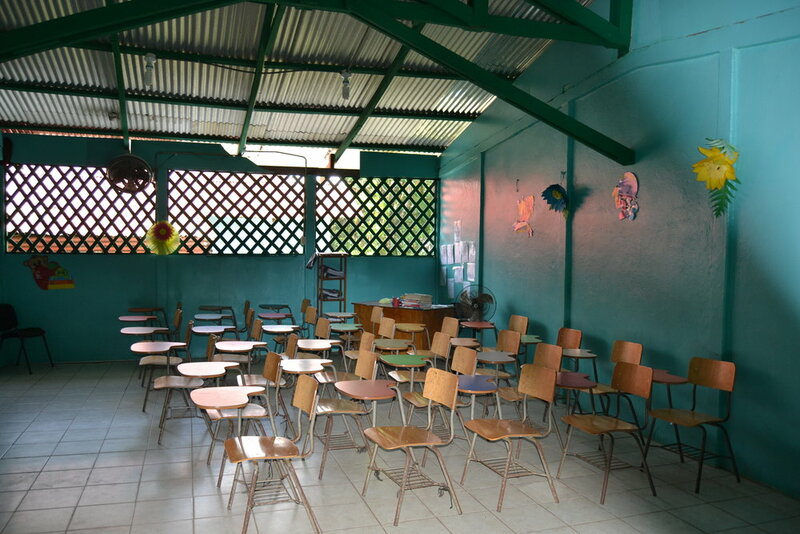 This was a prime time for me to practice my Spanish skills since I was seated with the Spanish speakers. A couple of them spoke English, but for the most part, I spent the time listening to them and picking up about a quarter of what was being said. To be honest, I cannot say I felt comfortable trying to keep up the conversation, but I was amazed at how much I was able to pick up after thinking about it, yet much more practice is needed. 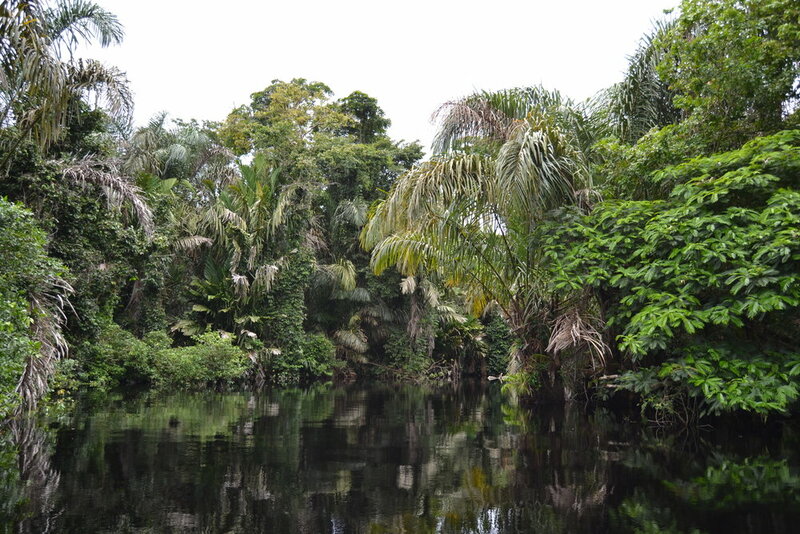 When the group arrived near the entrance of Tortuguero National Park, we all got into a boat for an hour-long trip. This was also where half of the group broke off. The two Spanish-speaking ladies and the American family left since they were going to be staying at a couple of resorts. This left myself, the Spanish couple, and the guide. Later, we were joined by another couple from the Netherlands who were heading back to San José. The boat ride itself was very pleasant although it was very humid in the area. Throughout the trip, the guide an eye out for different creatures that were out and about. Strangely enough though, despite being in the jungle with the humidity, I did not experience that much of an issue with mosquitoes. This was lucky since even though I had brought mosquito repellent, I forgot to bring it along, and I forgot to spray myself before leaving for the tour. However, I was left alone by the mosquitoes unlike in Belize when I got eaten alive by them. 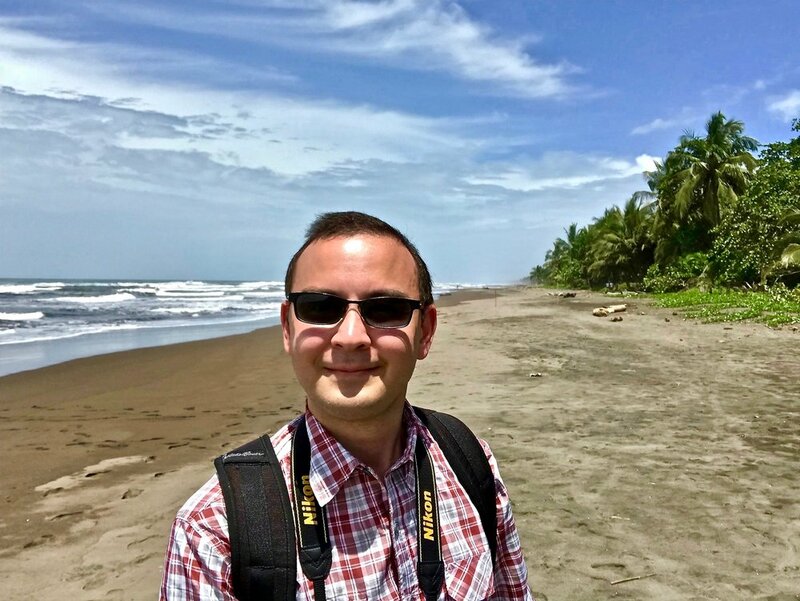 While the boat ride was pleasant, my favorite part was visiting the beach at Tortuguero National Park. The guide walked the Spanish couple and myself to the coast. This was the most picturesque beach that I had ever seen. There were no other people in the area, so it could not have gotten any better than it was. This is also the place where the turtles come ashore each year by the thousands and lay their eggs. Unfortunately, we were slightly out of season for that, but it would not be difficult to imagine what the site looks like when that happens. After visiting the coast and snapping some pictures, we all headed to a restaurant at a local resort for a buffet lunch. Upon completing lunch, it was back on the boat for another hour-long ride back to the bus and ultimately San José. It was here that we were joined by a Dutch couple going to San José. When everything was said and done, I am extremely glad that I got to see Tortuguero National Park. I had often heard of the beauty of Costa Rican beaches, and I got to see one with my own eyes. In my opinion, seeing the empty stretch of coast that was not packed with other tourists was the definite highlight of this tour. 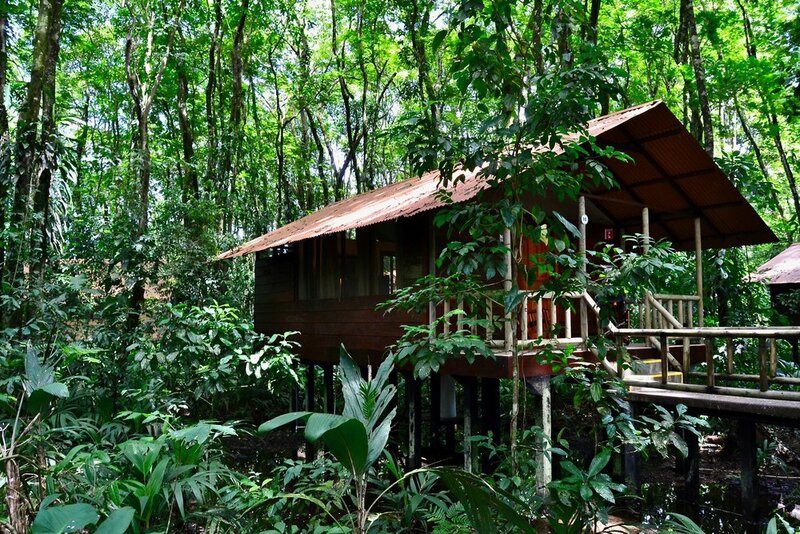 Have you been to Tortuguero National Park? What did you think of it?